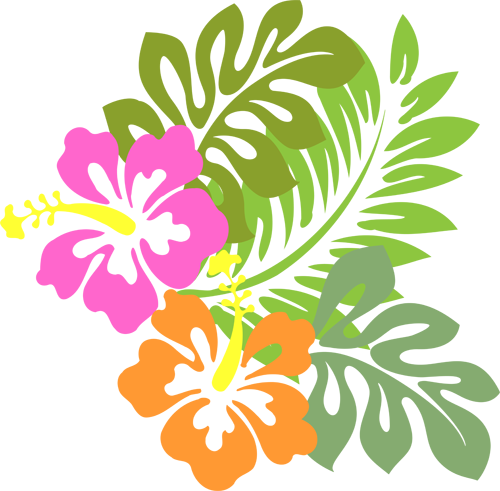 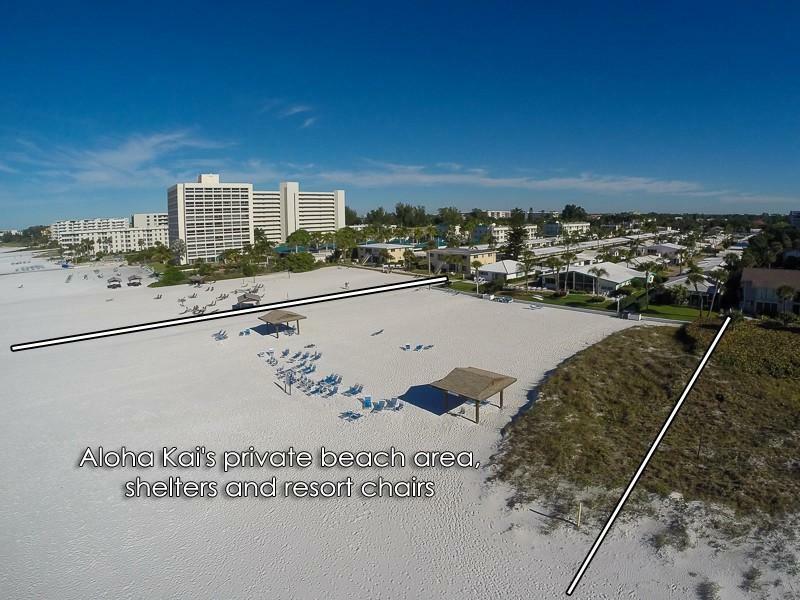 Aloha Kai - Unit 42-nicely appointed! 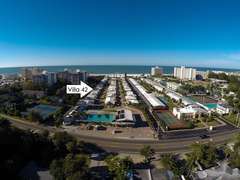 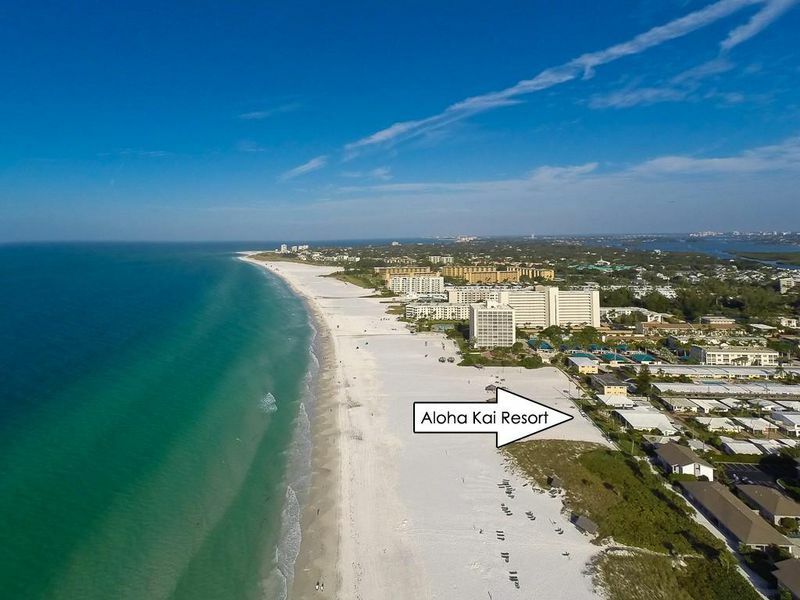 Stay in a very private sun-washed 1-bedroom beach retreat providing the best of Siesta Key: it’s steps from the beach, and also a hop-skip from the Aloha Kai complex’s huge, glittering, heated pool. 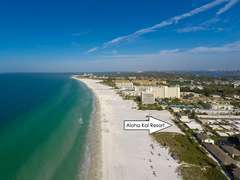 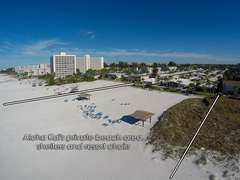 When you step onto Crescent Beach (also called Siesta Beach by some), which is rated the #1 beach in North America, you’ll find lapping waves kissing a wide, flour-soft shoreline made of nearly pure quartz crystal. 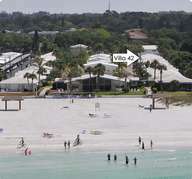 These gentle natural features create a safe, child-friendly beach, where, in fact my grandsons first learned to swim. 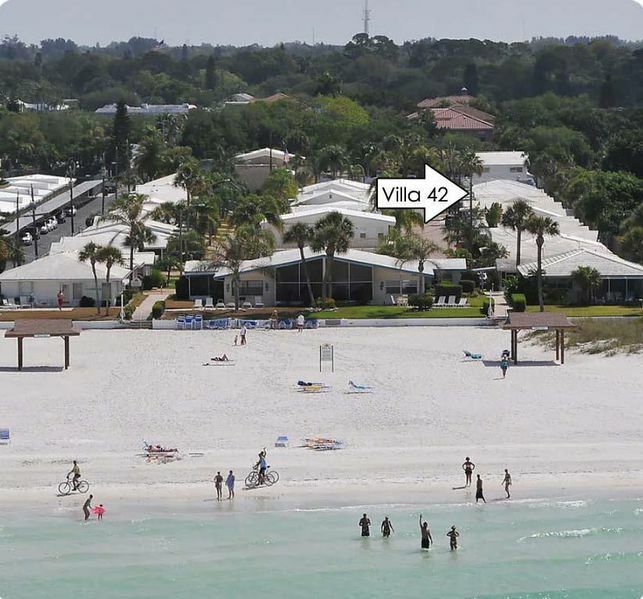 (Your children are welcomed at Villa 42: the living room couch converts to a queen-size bed that’s just right). 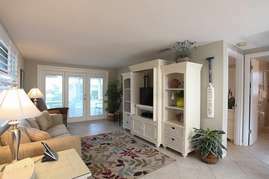 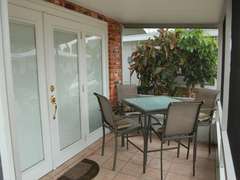 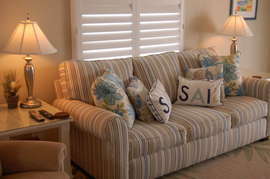 When you’ve had enough sand and saltwater, come back to the villa for dinner, sizzle some burgers or fish on the charcoal grill in the backyard, enjoy them on the screened-in porch’s patio set, and then take an after-dinner dip in Aloha Kai’s resort-size pool – the largest in Siesta Key. Inside, Villa 42 is bright, clean and welcoming after your time on the beach. 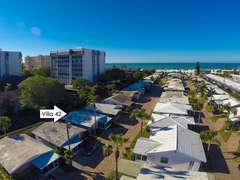 Tech junkies will appreciate some of the features we added – like complimentary high-speed Wi-Fi, HD smart TV with premium HD cable service, Blu-Ray player and a Bose radio. 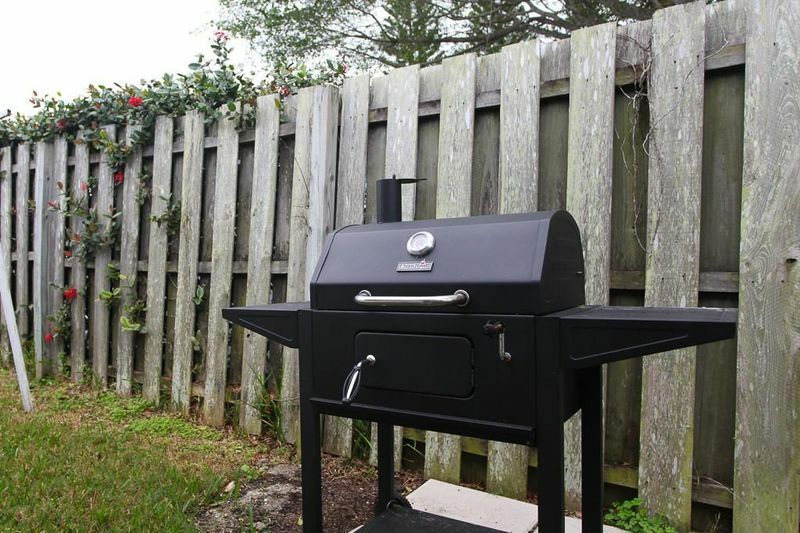 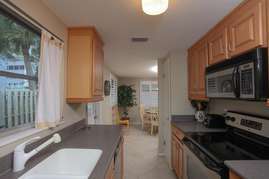 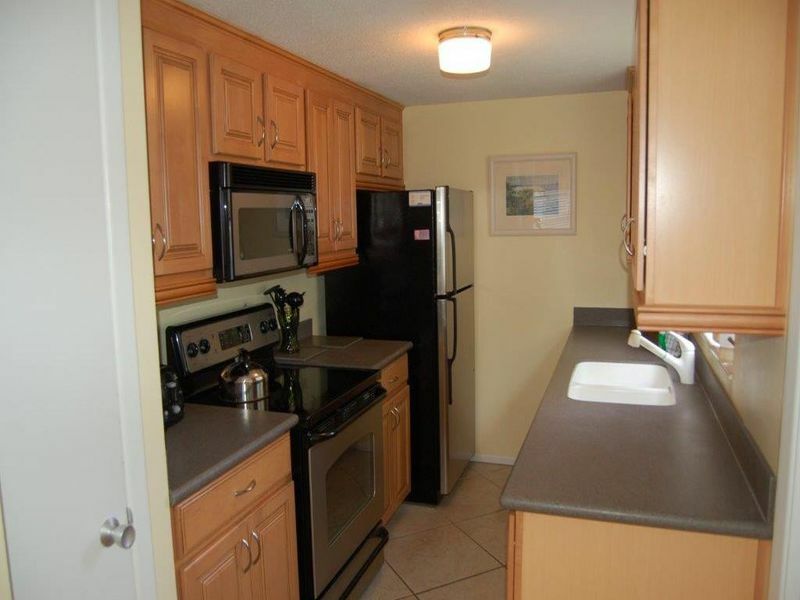 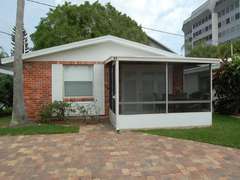 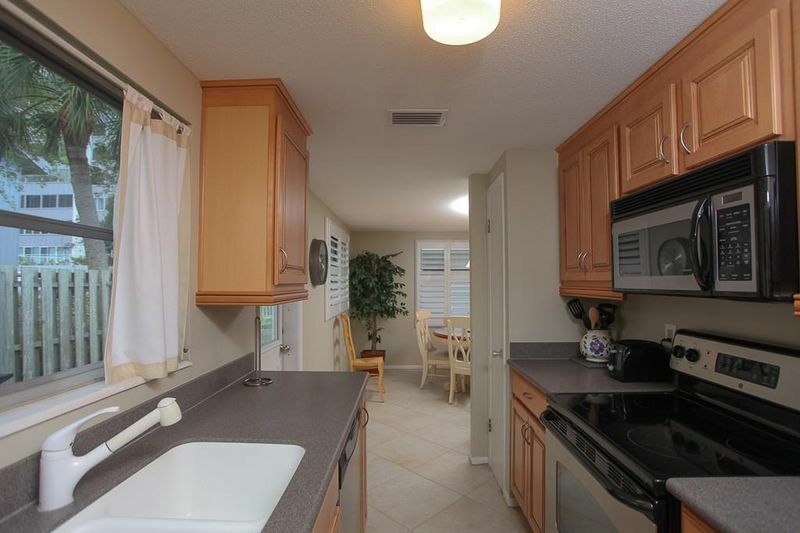 The fully equipped kitchen features gleaming appliances like a refrigerator with ice maker, new stove/oven, built-in microwave and a dishwasher. 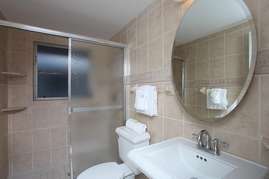 We recently remodeled the bathroom, adding resort-style amenities like a glass-enclosed walk-in shower, intricate tiles on the floor and walls, new toilet and new sink. 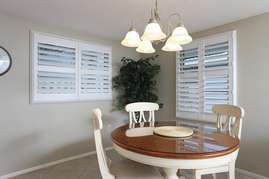 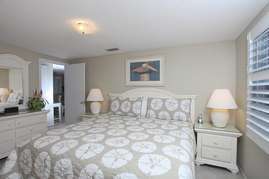 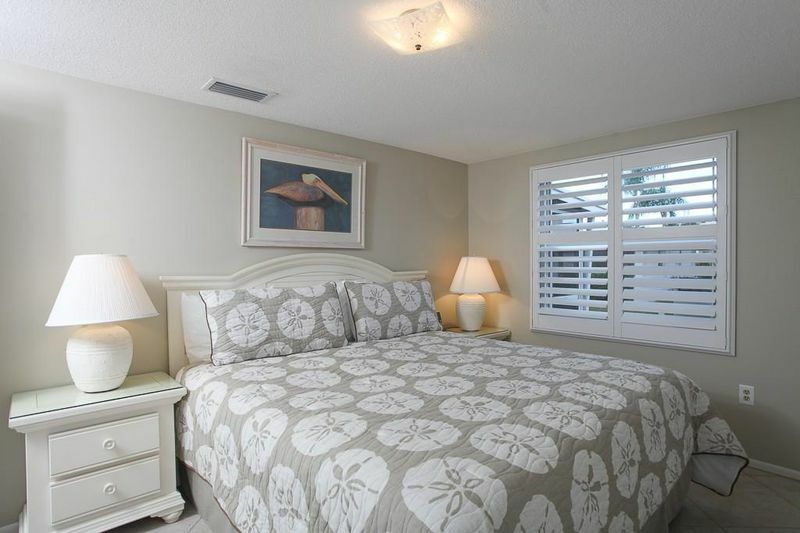 The bedroom also provides a breezy, upscale feeling with plantation shutters, new HD TV, and a plush, king-size bed. 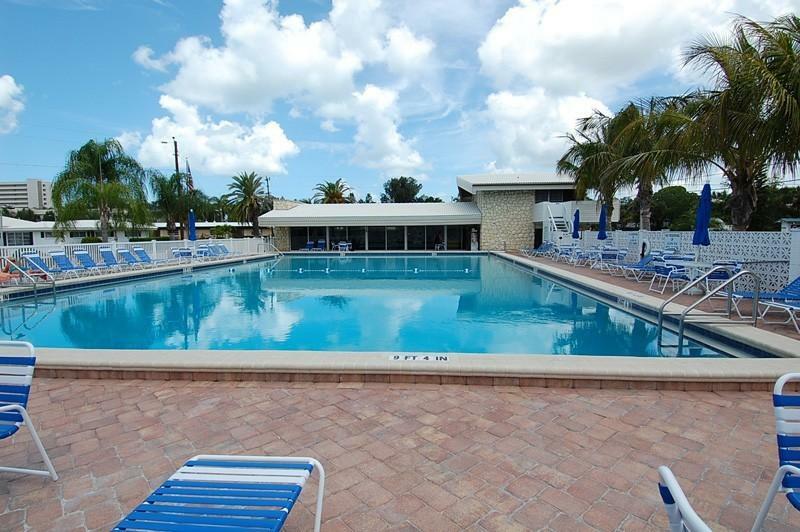 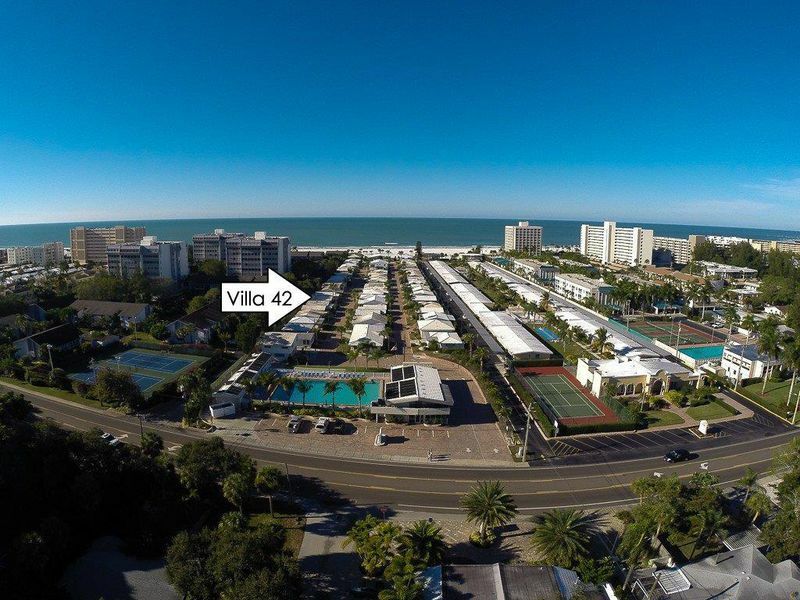 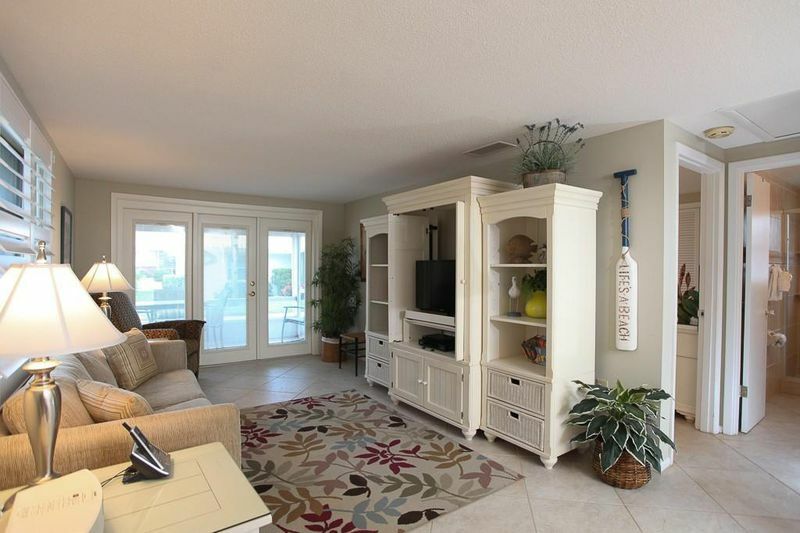 The total effect is a gem of a beachside beauty in Siesta Key that’s waiting for you!